We thought we’d give y’all an update on what we’ve been hearing so far. 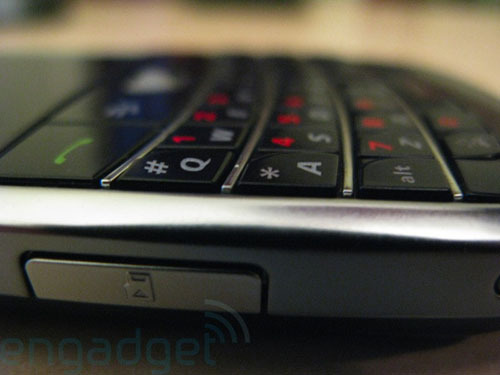 It’s been fairly well-documented that RIM isn’t too happy with AT&T for delaying the release of the Bold. 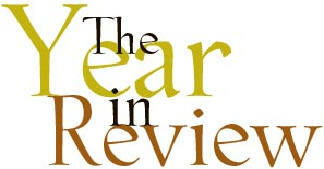 It began with June, then to July, to August, to September — you get the point. But, there is a back-story here, so we are going to take a minute out to break it down for you guys. 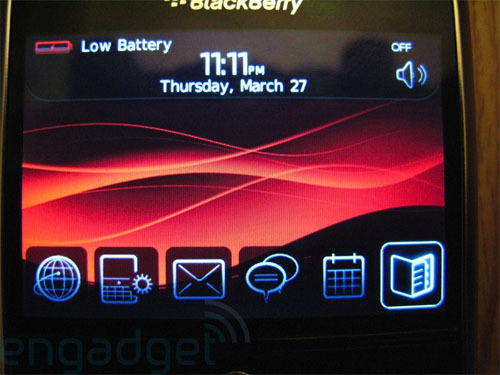 First and foremost, according to what we have been told, AT&T approached RIM to build the BlackBerry Bold for them. RIM had zero plans of manufacturing a 3G device at the time. They reluctantly gave in to AT&T and started to manufacture the Bold. You can see their non-3G stance with the upcoming Kickstart, Javelin, etc. As it was put to us, “AT&T will not be accepting any non-3G phones on it’s network.” We’ve clearly seen this transition take place; we’re almost at the point of all 3G handset heaven, so this statement makes sense. The problem with the delays of the Bold is that RIM has the Thunder/Storm up their sleeves. We’ll get into that in a bit, but here’s a quick story on the Bold delays and why they happened. To be fair, the delay with the BlackBerry Bold wasn’t really AT&T’s fault. Sure, they might have wanted to give Apple a little more shine or they might even have wanted to let their 90-day exclusive run out through the holidays to capture all those extra sales, but there were, and still are software issues. That’s evidenced by people that have bought the Bold already. Are they world-ending? No. 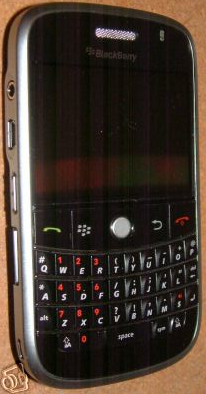 But no one can oppose the fact that the Bold is the most un-BlackBerry-like device to come out of RIM in terms of stability and the OS. AT&T knew this. 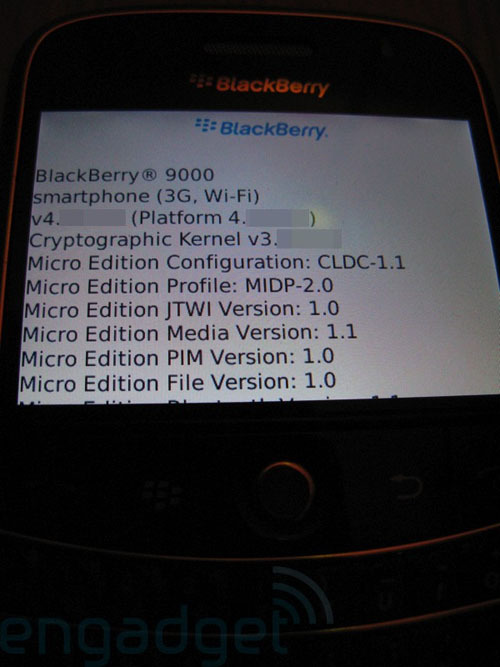 That’s why RIM would hand AT&T (and Rogers, too) “final final” builds of the OS. After a couple days, those were promptly sent back to RIM with “FAIL” written all over them. That continued for a very, very long time. Nonetheless, it came to the point where Rogers went ahead and released the device; it’s not 100%, and they, along with RIM, know that. (Does anyone remember how that RIM publicist assured the press that there were no delays with the Bold on AT&T and indirectly called us jerks?) But why the strained relationship with AT&T? Well, you have AT&T basically demanding a 3G BlackBerry, RIM probably said, “eh, dudes, we’ve never done this before, you sure?” AT&T probably said, “Holla!” Then AT&T kept delaying the release of the Bold, and RIM sort of got pissed. They had the BlackBerry Thunder/Storm on the burner, but they held that way too close to the chest so AT&T didn’t find out about it. Why didn’t they want AT&T to find out about it? They were afraid AT&T would drop the Bold, the device they begged them to make, and want to run with the Thunder/Storm instead. 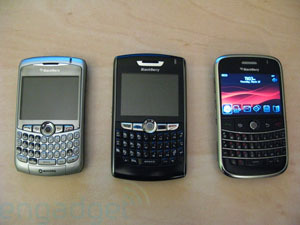 You’ve got practically the entire world launching the Bold, except for the #1 BlackBerry carrier on the planet. Something doesn’t sit right with that. It might be AT&T’s quest for perfection on the device, it might be the fact that they make way more money on iPhone sales, or it could be a mix of both. RIM has increased the marketing budget with Verizon of the Thunder/Storm like we reported to you. Whether this was done to possibly makeup for lost time with the Bold in the U.S. or to spite AT&T still remains to be seen, yet we can’t help but think RIM is a getting a little kick out of it. One more tiny bit of info is BlackBerry Thunder/Storm pricing… we heard through various contacts it will sell for $199 with a 2-year agreement after in-store and MIRs. In any case, that’s our little back-story for the day regarding what happened with the Bold and the Thunder/Storm and an explanation why AT&T probably isn’t in Jim or Mike’s MY5.